Calling All California Off Road Desert Lovers! 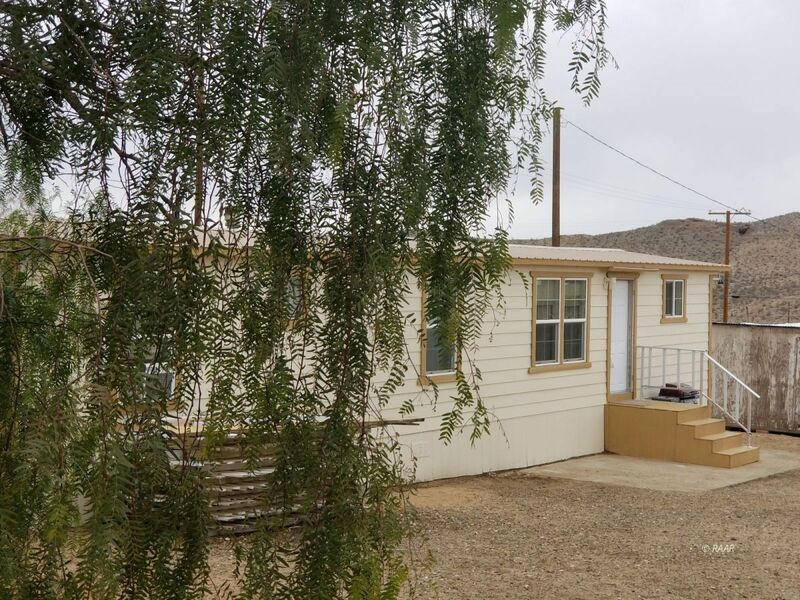 This affordable 2 bedroom, 1 bath mobile home is just off of highway 395 in Johannesburg, heading North towards Lone Pine, Bishop and Mammoth. This property is so close to the beautiful high desert trails of Kern County and the Mojave Desert. Home offers kitchen with gas stove, cozy family room. Water, electric and propane. Property is on a corner Lot, has paved roads and is move in ready. Don't Let This One Get Away!